Copy the first two columns of the matrix to its right. 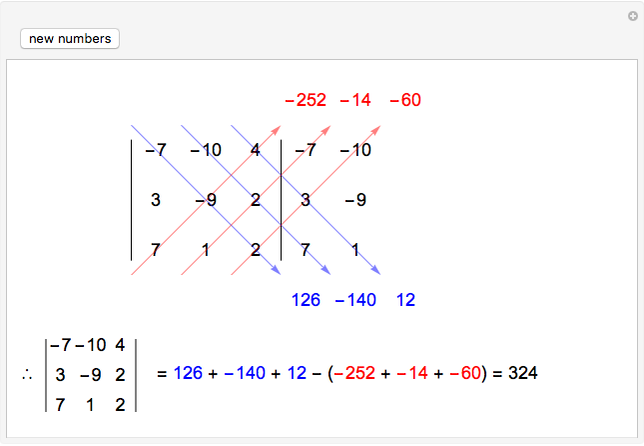 Multiply along the blue lines and the red lines. Add the numbers on the bottom and subtract the numbers on the top. The result is the value of the determinant. 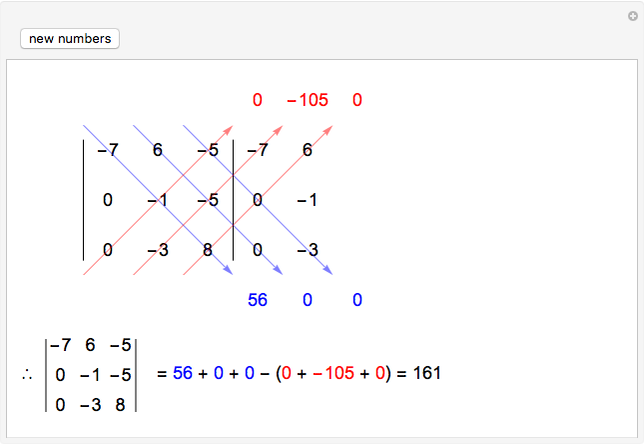 This method does not work with 4×4 or higher-order determinants. For those, use expansion by minors or row reduction. Even when there are many zero entries, row reduction is more systematic, simpler, and less prone to error. 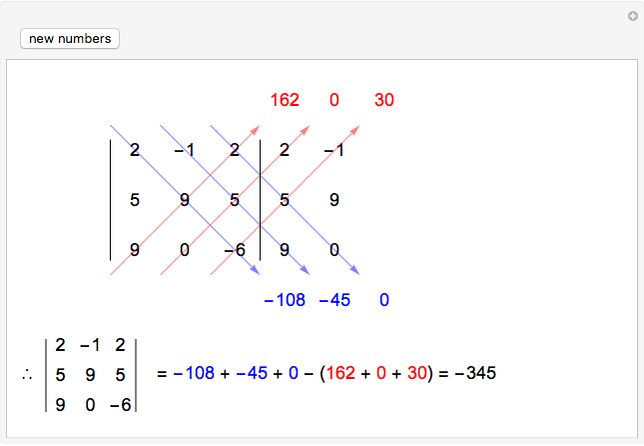 George Beck "3×3 Determinants Using Diagonals"